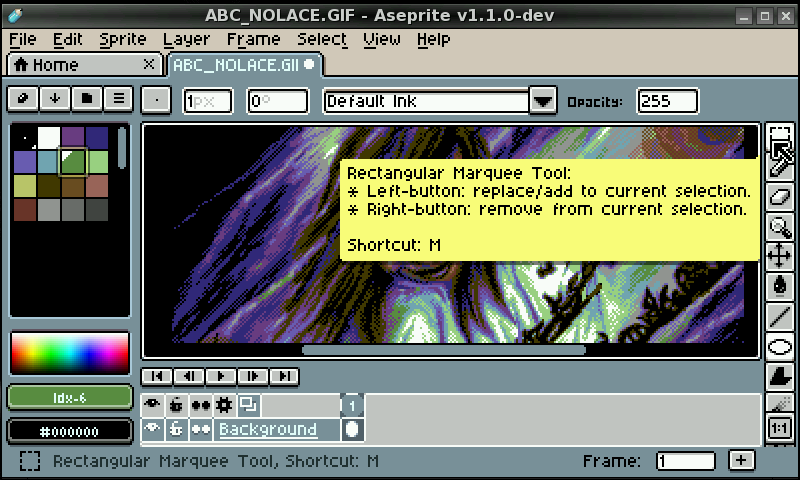 ASEPRITE is an open source program to create animated sprites. Sprites are little images that can be used in your website or in a video game. You can draw characters with movement, intros, textures, patterns, backgrounds, logos, color palettes, isometric levels, etc. 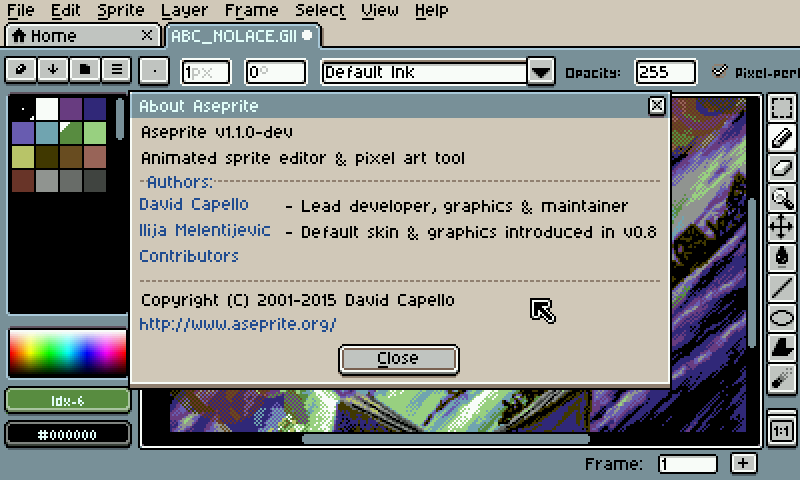 What makes ASEPRITE different? It focuses on pixel editing, to do pixel-art. Indeed, it isn't a photo retouching tool or a vector graphics editor. Mainly it is a tool to create tiny animations pixel-by-pixel. 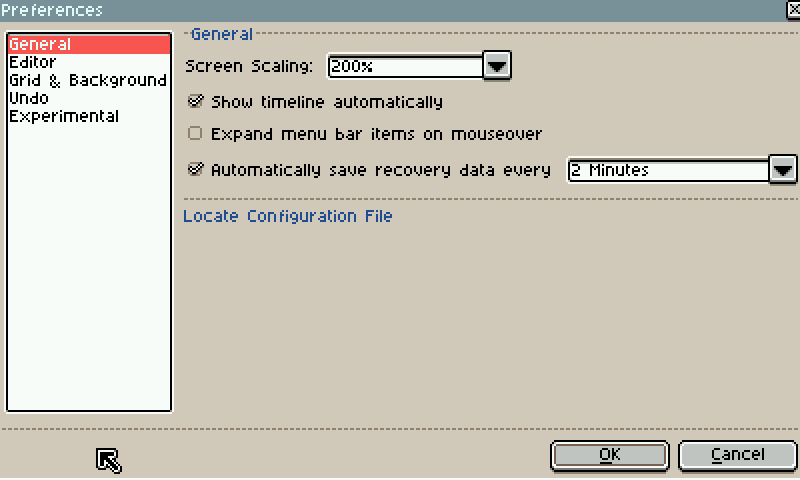 - Changed default config for window to fit screen. - Latest git version, 1.1 beta 5. - Latest git version, mostly bug fixes. 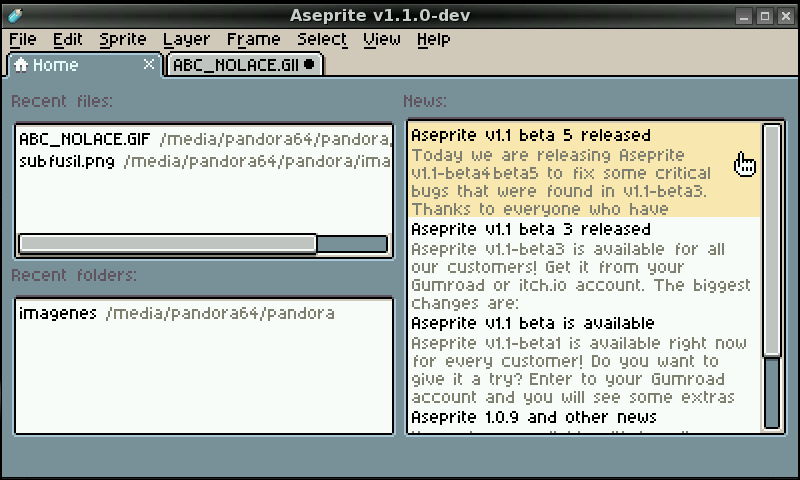 The UI is not scaled up, i just modified default size in .asepriterc. Sources are inside, any patch is welcome. Works alright. Make it so the UI isn't scaled up and I'll give it 5/5. Aww! I was working on making this port myself! Well, time to try it and see how it works.